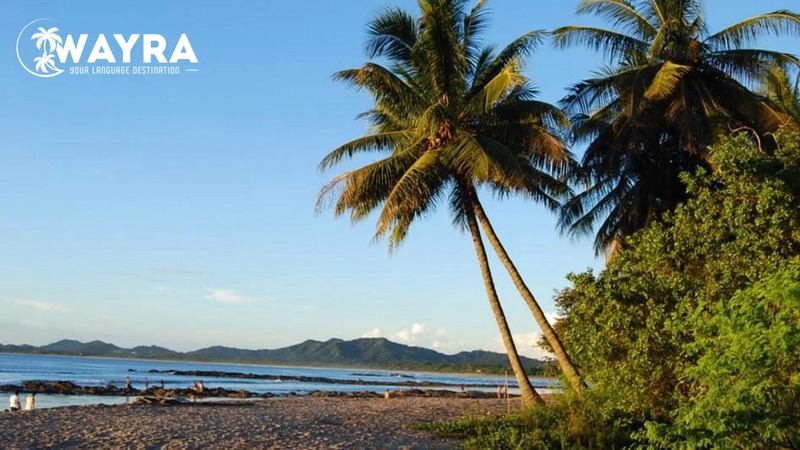 Be part of our very popular Spanish and Surf program at the beautiful Tamarindo Beach in Costa Rica! 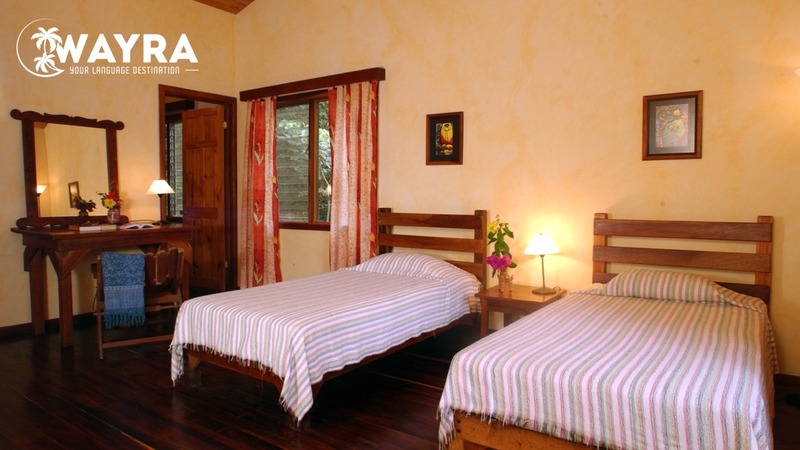 WAYRA offers accommodation at the student houses Casa WAYRA, Casa El Mar and Casa La Carolina as well as individual Lodging and Homestay. Since 1996 WAYRA Spanish School has been offering Spanish classes to foreign students and residents. Our Swiss and Latin American managed school is the oldest and most experienced Spanish school in the province of Guanacaste in Costa Rica. This course will help you to improve your Spanish rapidly using different skills. This course is specifically for students who want to maximize their Spanish learning practice during their stay. We offer special classes in different professional fields like medicine, business, real estate and many more. 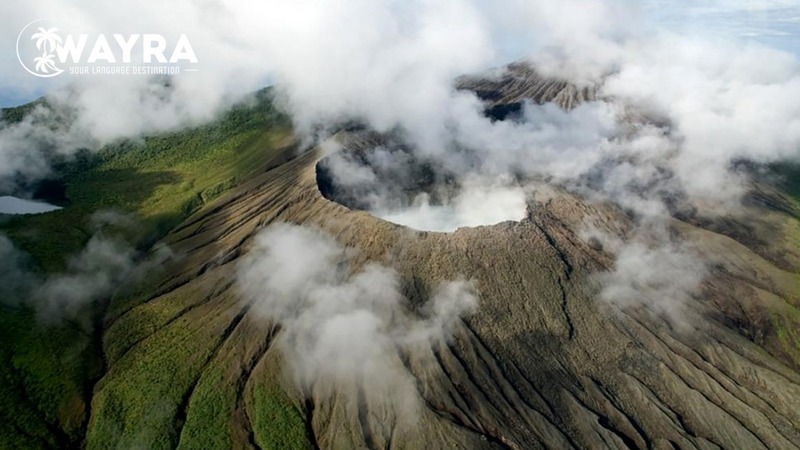 Costa Rica is recognized as one of the premier places in the world to go surfing. 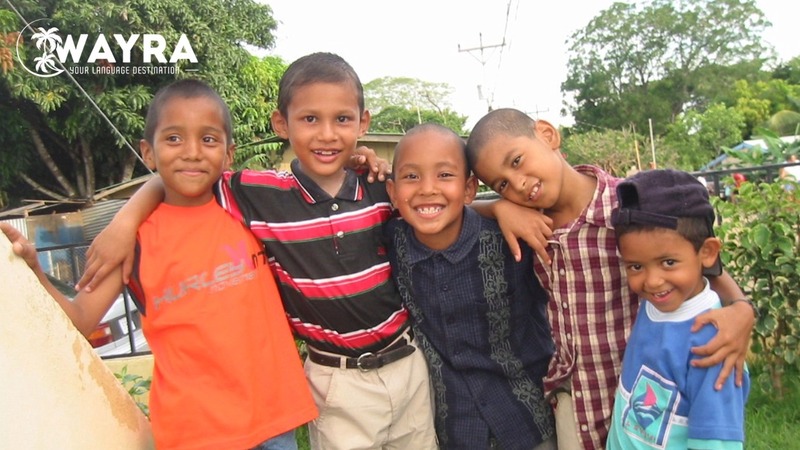 WAYRA offers you a wide range of opportunities to become a volunteer in Costa Rica. WAYRA offers you personalized online lessons via SKYPE. The course is tailored to meet individual requirements. Prepare with us and take the DELE Exam right here in Costa Rica. Studying at WAYRA will give you a great advantage for success in the exam! Since 1996 WAYRA Spanish School has been offering Spanish classes to foreign students and residents. Our Swiss and Latin American managed school is the oldest and most experienced Spanish school in Costa Rica in the province of Guanacaste. Take a look at the WAYRA Photo Galleries! 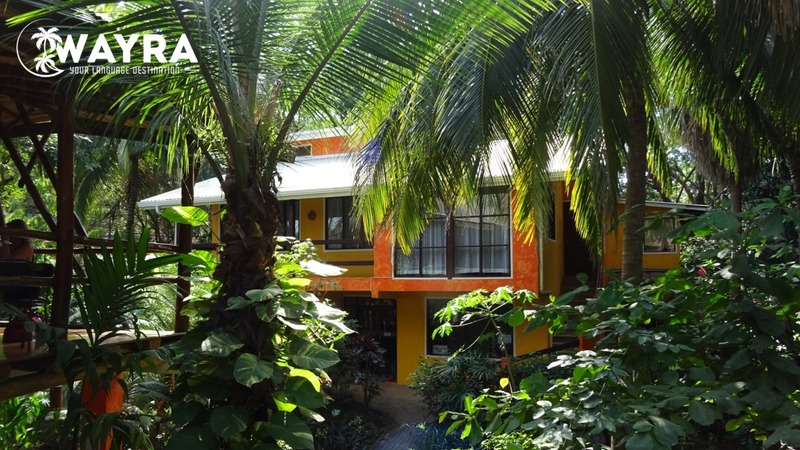 School, Classes, Accommodations, Fun Activities, Tours and Tamarindo Beach. The time at WAYRA has been a great experience. I always enjoyed the Graduations on Fridays with the whole group and the great typical Food they served. I really like the way the school is built, having classes in such an open area gives it a fun atmosphere and one doesn’t feel trapped into a closed off classroom. The BBQ’s organized by School are always a lot fun. I really appreciated the Teachers patience and their efforts to make class entertaining and interesting. Life at the student house gives you a good chance to spend time with other students. The schools relatively small size helps to create a great atmosphere. Living in a host family has given me a nice insight into the Costa Rican way of living.